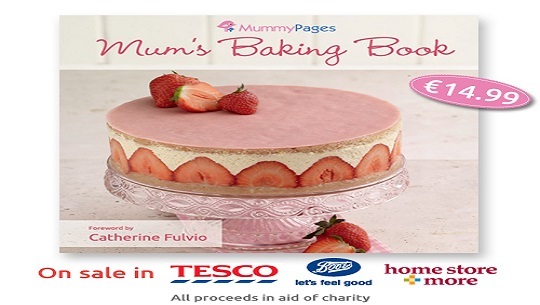 A new baking book was launched this week in Tesco Stores, Boots and Home Store and More. The book contains fabulous recipes from mums who love to bake. They are straight forward, easy and very tasty. Sponsored by MummyPages all proceeds go to Sam’s trust and Fara Ireland. We are thrilled to be involved in such a wonderful project.